What about Laser Spine Institute? Sometimes during my patient consultations, I receive the question “What about Laser Spine?” Having practiced in Phoenix and currently living in New Mexico, I have encountered many patients before and after their experience with the Laser Spine Institute (LSI). My impression of LSI has more to do with a focus on promoting Minimally Invasive Surgery (MIS) than with a focus on using a laser. Starting approximately 10 years ago, outpatient (MIS) surgery has grown extensively. Some authorities estimate that by 2025, fifty percent of spine surgeries will be performed in an outpatient setting. Currently, in my practice, cases that are performed at the Las Cruces Surgical Center (LCSC) include healthy patients in need of Posterior Lumbar Disc Surgery, Sacroiliac fusion or single level Anterior Cervical Fusions (ACD&F). The key with successful outpatient surgery is patient selection. One size does not fit all. Healthy patients with minimal medical issues fit the profile better for successful outpatient surgery than older patients with medical issues such as obesity, heart or lung issues, and chronic pain. Minimizing risk is important because Ambulatory Surgical Centers (ASC’s) do not have access to all of the specialties (Cardiologist, Urologist, Internal Medicine) that a hospital may have to offer. Patient selection and surgical procedures have to be chosen carefully. Oftentimes, patients ask whether I can perform the surgery we are discussing using “one 1 inch incision” (per the Laser Spine Institute commercial). I routinely chuckle because the size of the incision is the least of my pre surgical concerns. I only know of three spine surgeries that could realistically be done with one 1 inch incision: MIS Lumbar Microdiscectomy, Posterior Cervical Foraminotomy, and perhaps a one level ACD&F. In my practice, this accounts for < 10% of the surgical cases. Interestingly, the patients asking for the smaller incisions have the most extensive findings (multi-level arthritic changes with Scoliosis or stenosis). Can you perform theses surgeries with “one 1 inch incision”; the answer is NO. Ultimately, surgery should be tailored to the disease of the spine. If the goal of surgery is to decrease leg or back pain, then the incision size should match the spine disease…not vice versa. A mentor of mine taught me “Do what you do best”. If a specific surgery requires a larger incision, then a larger incision is needed. Patients want to feel better, the incision size is secondary. What good is a small incision if the patient still has symptoms? To conclude, MIS/ Laser Surgery/ Outpatient spine surgery is here to stay. Additional precautions have to be taken in performing these surgeries from patient selection, ability to achieve a surgical goal with a smaller incision, emergency and pain management protocols, as well as investment in expensive equipment. Every patient is different and safety has to be a priority. Las Cruces Surgical Center has been performing outpatient spine surgery since 2008. The important point is not whether I am using a Laser, Endoscope or a Tube system (MIS); what matters is whether the goal of surgery is attained. A successful outcome with a larger incision is always better than a small incision with continued pain. Paul Saiz, MD recently had an article published in the May-June issue of SpineLine 2015. He co-authored an article with Chris Kauffman, MD entitled “Timing of CCI edits for Interbody Fusion and Laminectomy at the same level.” This article explains the history behind the linking of two surgical codes: Lumbar fusion with decompression. SpineLine is a clinical and news publication aimed at Spine Care Professionals, which is published every other month. The 2015 Annual New Mexico Workers Comp meeting took place at the Ysleta resort in Albuquerque on May 13-15th. I was given an opportunity to discuss causation issues re: neck pain on May 14th. My talk titled “Neck pain in the work environment” discussed workers comp issues in regards to chronic and acute pain and addressing causation. The concepts of temporal relationships, dose response and mechanistic plausibility were discussed. A literature review was also presented. The Workers Comp talks and conference allows for meaningful interaction between MD’s, Lawyers, Insurance Companies, Physical Therapists and Nurses; regarding Workers Comp injuries. The sharing of information on best practices & methodology allows for better coordinated care of the injured worker. A recent study presented at the Cervical Spine Research Society Annual Meeting by Erik Olsson, MD et al found that smoking can be a risk factor for dysphagia. “Their (Smokers) symptoms when they experienced dysphagia, were more severe when compared to non-smokers or former smokers.” The authors identified prior surgery and smoking as risk factors for long term swallowing problems. Smoking has always been associated with higher rates of nonunion (inability to grow new bone) in spine surgery. This study by Olsson and associates, sheds light on the increased risk of long term dysphagia in smokers. Prior to any spine surgery it is important to counsel the patient as to the increased risks associated with smoking and how smoking can affect surgical outcomes. Ultimately, it must be the patient who decides not to smoke. 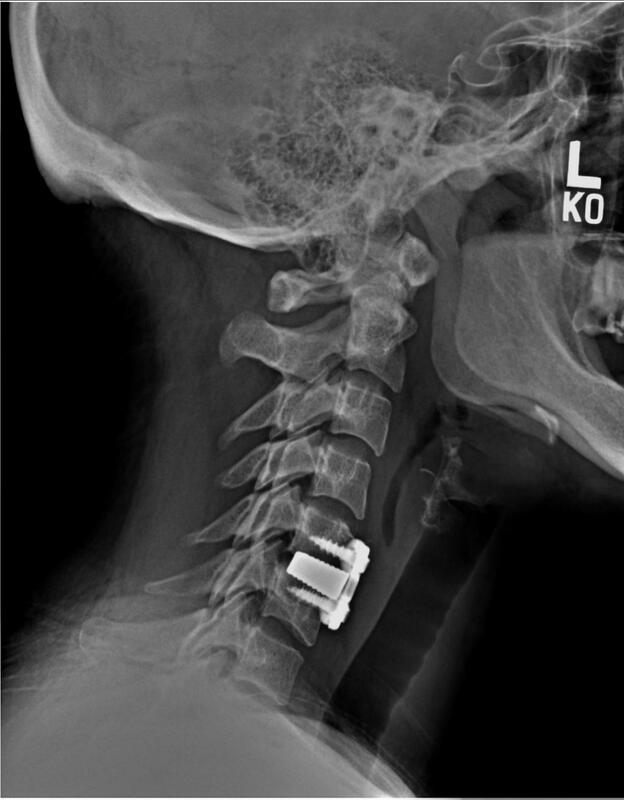 A recent study presented at the Congress of Neurological Surgeons (CNS) in Boston showed that 1 & 2 level neck fusions can be performed as safely and cheaper than the same surgery performed at a hospital. Matthew J McGirt, MD presented the findings at the annual CNS meeting and along with his co-investigator also received The Samuel Hassenbusch Young Neurosurgeon Award at the meeting for the research. The study compared two groups of patients who underwent 1 and 2 level anterior neck surgeries (ACD&F) at an ASC vs a hospital. They found the complication rates, return to work rates and outcomes at 3 months were equal. More importantly, the surgeries performed at an ASC were on average $7,000 cheaper. “This is a cost saving advancement in ACD&F surgery. From a patient, payer, purchaser, and societal perspective, the ASC setting offers superior value and can lead to cost savings of over $7,000 per patient.” adds Dr McGirt. Las Cruces Orthopedic Associates (LCOA) and Las Cruces Surgical Center (LCSC) have been performing outpatient anterior neck surgery since 2009. Our goal has always been to provide the most efficient and cost effective care possible. This important paper adds more evidence to the effectiveness of outpatient, ASC based surgical care. Las Cruces Orthopedic Associates would like to congratulate Dr Paul Saiz, for being the first physician in Southern New Mexico and the El Paso area to implant the new Medtronic low profile (LP) Prestige Cervical Disc Replacement. Disc replacement, in certain patients, can replace neck fusion for neck and arm pain while preserving motion above and below the area of surgery. Single level disc replacements can be performed as outpatient surgery and is one of the many spine surgeries performed by Paul Saiz, MD in an outpatient setting.